KB Ballentine: Every writer I have ever read has made me who I am. We first learn to enjoy reading, then we learn to imitate, then we discover our own voice. Some of my favorite writers are Jane Kenyon, Mary Oliver, Ron Rash, Bill Brown. Really, anyone who makes me reflect and that list would be a lot longer. lenses to understand my worldview. And these are just the large, general categories! recent events feel like they’ve made an impact that will come out in my work. ”beating each other up” for no reason. KB: Ireland and Scotland have most shaped me. KB Ballentine has a M.A. in Writing and a M.F.A. in Creative Writing, Poetry. Her latest collection, The Perfume of Leaving, was awarded the 2016 Blue Light Press Book Award. 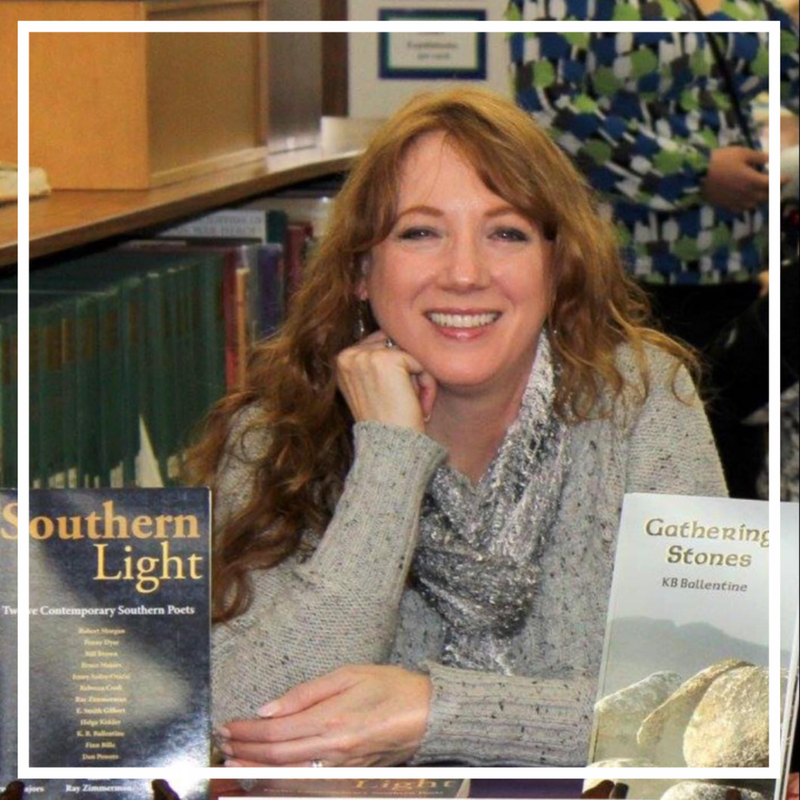 Her work also appears in River of Earth and Sky: Poems for the Twenty-First Century (2015), Southern Poetry Anthology, Volume VI: Tennessee (2013) and Southern Light: Twelve Contemporary Southern Poets (2011). Find her work here.